Taekwondo Korea Center's very first Christmas Party was a joyous time filled with lots of love. We played games, ate delicious food made by our very own TKC families, enjoyed a funny skit prepared by the TKC staff, and even listened to some live Christmas music by Master James and John! The biggest message of the night was the message of "giving". 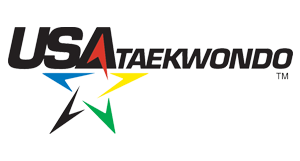 Here at Taekwondo Korea Center, what we want to do is to give to our students our skill, wisdom, affection, and love. But we don't want to stop there. We want our students to be givers as well. As our students say in TKC Oath, we want them to be "A light in this society". Our Christmas party was an application of this message. As Masters and instructors gave to the students through their skit and live music, TKC families gave to each other through food, gifts, and laughter. We even raised donation to help a 7-year-old girl Ava who is fighting with Leukemia Cutis. We finished the night with a time of open mic where many people shared how they've been given. A sense of thankfulness filled the room, and every single one of us had a big smile on our faces. This is what Christmas is about. It isn't just about receiving, but recognizing how much we have been given, and therefore overflowing onto selflessly giving. We love you all very much, and have a merry Christmas!